Celebrating the 20-year anniversary of The Naked Samoans stage debut, the incredible performing talent of Bro’Town and Sione’s Wedding join forces with legendary creators of The White Guitar, The Conch, to bring you The Naked Samoans Do Magic – a hilarious and spell-binding tale of the rediscovery of lost hope. Follow the white rabbit into a world of mystery and mayhem. 20 years on from their first show together, The Naked Samoans return to the stage! But what if all we know of them hadn’t happened, the last 20 years got all messed up, and the only solution was magic? Imbued with the spirit of magic, the house and what it contains will lead the boys to face their biggest challenge yet. Will they respect the wishes of the dead, or just think Nah it’s too much trouble? 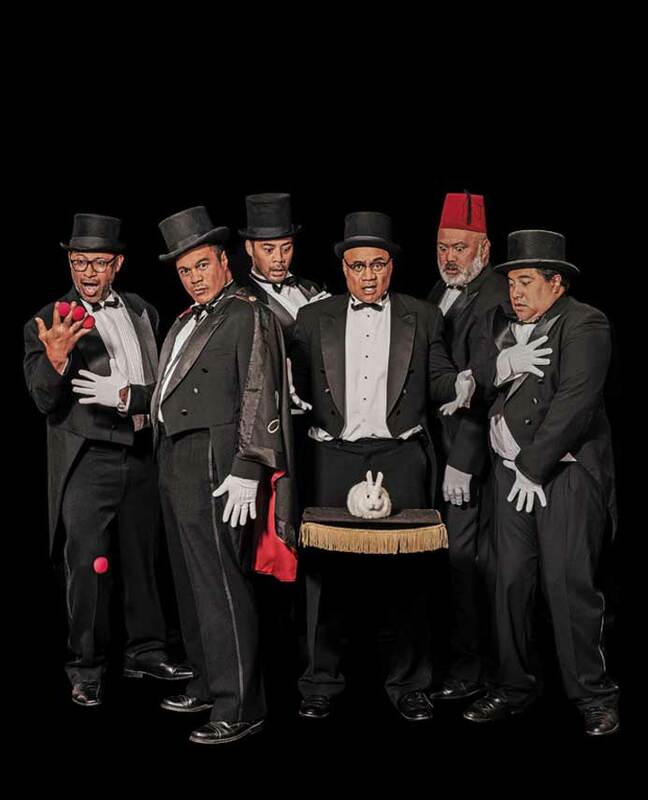 Since their first stage show in 1998, The Naked Samoans have taken their brand of anarchic social satire and comedy into the hearts and living rooms of kiwis across the country. Teaming up with The Conch’s Nina Nawalowalo and Tom McCrory, The Naked Samoans will finally get to unleash on the boards again. And since they’re only getting older, it could be their last ever show. You won’t want to miss it. Recommended for ages 12+. Contains strong language and adult themes.